Greyshot Arch is one of the most heavily trafficked arches of Central Park, carrying a steady flow of bikers, runners, rollerbladers, and carriages over the West Drive. From the stone Greyshot Arch, made of gneiss, you can see the nearby cast-iron Pinebank Arch. 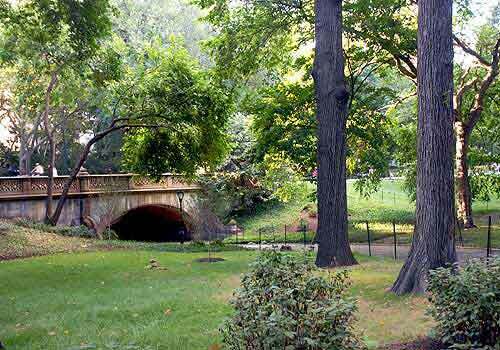 The two arches exemplify the range of decorative designs that Calvert Vaux used in creating the arches and bridges of Central Park. West Side between 61st and 62nd Streets.